UC San Diego’s faculty and staff members—numbering close to 30,000—work collectively each day to ensure that the campus leads as a trailblazer in higher education. Recently, the campus has begun harnessing the vast ideas and creativity of staff and faculty members to make the university even better with IdeaWave. The campus-wide Standing Committee on Service and People Oriented Administrative Culture (SC-SPOC), which was established as an outgrowth of the Strategic Plan, launched IdeaWave as a crowdsourcing platform designed to encourage and continue the open dialogue and collaboration that was sparked during UC San Diego’s strategic planning process. Since its launch in June 2015, IdeaWave has garnered 25,000 page views and proved to be a hub for enterprising UC San Diego employees to submit and discuss more than 150 new ideas for approaching administrative challenges. 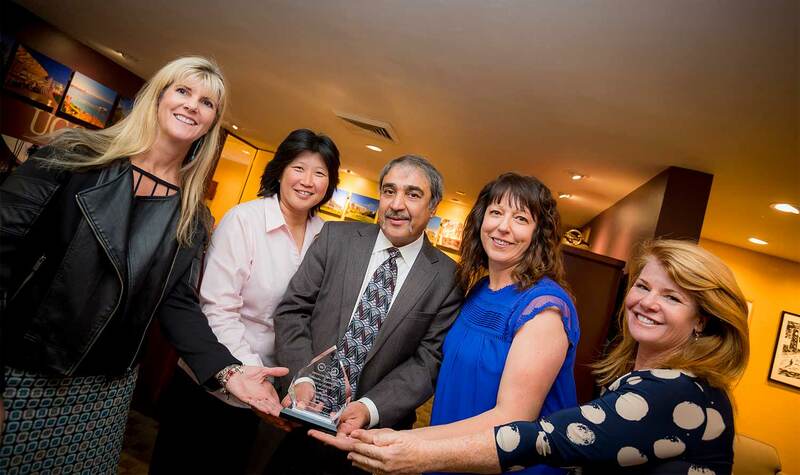 IdeaWave’s success was recognized recently at the 2015 California Public Higher Education Collaborative Business Conference, with a Collaborative Innovation Award. 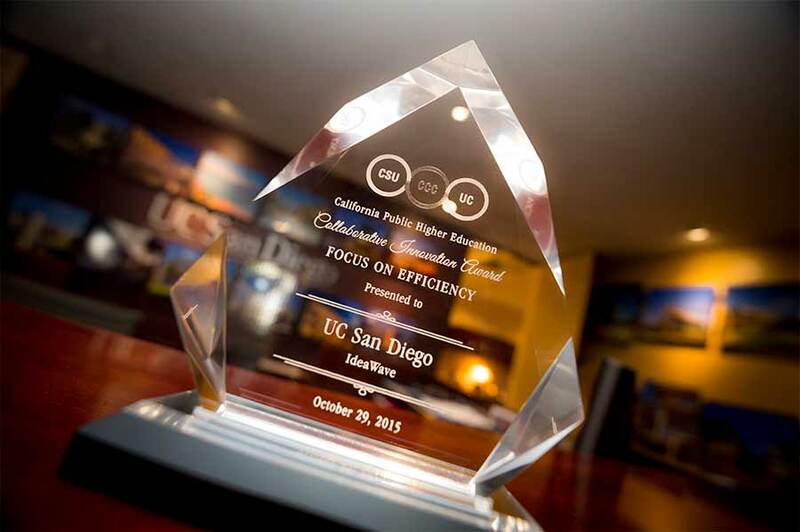 UC San Diego was awarded a statewide Collaborative Innovation Award for IdeaWave. “As a campus, we must think boldly to identify and implement creative solutions to ensure our continued level of excellence,” said Chancellor Pradeep K. Khosla, who instituted UC San Diego’s first-ever Strategic Plan. “Just as UC San Diego works across a broad range of disciplines to tackle complex issues facing the world, we are leveraging that collective intelligence through IdeaWave to improve our campus.”Ideas and solutions to better UC San Diego have ranged from more streamlined processing of travel receipts and reimbursements, to enhanced onboarding for new employees. Jessica Sun, a staff member from UC San Diego Moores Cancer Center, noticed that Catering iRequests took a long time to process. She proposed a solution through IdeaWave: increase the minimum threshold of competitive catering quotes so that smaller orders could be completed without as much bureaucratic attention. The idea was adopted and implemented, changing the threshold from $350 to $1,000. Now, Catering iRequests that are below $1,000 do not require a comparative quote and can be done more quickly and easily. IdeaWave campaigns are posted throughout the year and are focused on topics of key interest to the campus community. Past campaigns have included Hiring, Orienting and Engaging the Campus; the Staff Performance Appraisal Process; and a Campus Challenge to Reduce Administrative Burden. Designed like a social media platform, IdeaWave participants can propose ideas, comment, vote and respond to ideas. The next campaign, focused on managing university events and event-related transactions, will open for ideas on January 13. To learn more, submit an idea or contribute a comment, click here.